The Pre-classic is a time defined when farming based on maize, beans, and squash was an effective way of living for the local Olmec culture. A stable diet helped the growth of the culture and the ability to store food for use during times of drought and the off-season helped keep the people sedentary instead of migratory. Due to this villages had started popping up all over Mexico, includingTeotihuacan. More villages and a stable diet allowed for a larger population. One strategy to dominate the population or culture was with religion. Religion has for the longest time been a way for a few people to control the masses. The Olmec religion produced full-time Priests and Shamans which were the most educated people of the time and that education helped them ruler over the uneducated. These Shamans were political leaders and intermediaries between the Gods and Humans. Within the Olmec culture these people were responsible for maintaining the well-being of the people by battling against demons and other evil Shamans. Examples of how strong this religion was are found all over the geography of Latin America as large standing temples and pyramids. In most cultures around the world, including the Olmec, religion controlled the culture which in turn also controlled the economy. The economy of the Olmec, during the time of the Pre-classic, was very similar to most cultures in their infancy. The economy was mainly based on trading nutrition sources and around the time of the Olmec, pottery made it capable for them to store and collect things for survival. They also created other pottery and clay figurines to help the culture display their Gods. These items could be traded; as well as conquered and enslaved people. Established trade routes enabled a level of growth for the civilization. This growth led to new technologies and a broader culture. The ability for the Olmec to write and keep records helped their economy. It also helped them dominate other cultures and people through advanced knowledge and warfare; knowledge is power. Coe (anthropology, emeritus, Yale) and Koontz (art history, Univ. of Houston) have teamed to write an updated and expanded version of Coe's masterly work on Mexico's prehistory. All regions and major prehistoric civilizations of Mexico are covered with the exception of the Maya, whose geographical range extends beyond Mexico and who are examined in detail in a separate work by Coe. Information on a number of recent archaeological discoveries has been incorporated into this new edition, and a final chapter on visiting Mexico's archaeological sites has been added. The complexities of Mexico's ancient cultures are perceptively presented and interpreted. 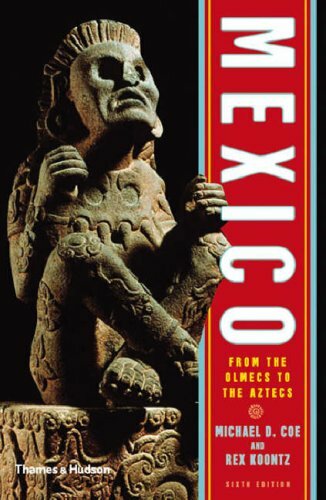 Coe and Koontz have done an excellent job of synthesizing a wealth of material and provide a comprehensive introduction to Mexico's prehistory that is both enjoyable to read and highly informative. This beautifully illustrated update belongs in the archaeology and anthropology collections of all academic libraries. The Olmec were not a peaceful people and their monuments show this. The Olmec's in places such as San Lorenzo and La Venta were examples of this aggressive culture. Within these sites, substances, that were unobtainable within these areas, were found. Insisting that trade routes were established for these substances to get there. Another reason could be the spoils of war that returned with the Olmec warriors. The Olmec's laid the foundation for the Mayan empire to flourish. With the Olmec’s ability to support crops and food storage to allow for greater population growth; i.e. more workers and warriors. The Olmec were able to amass a warrior population big enough to dominate the landscape. Even the Olmec’s religious infrastructure helped cultural and economic growth. Disease was not an issue for the Olmec, they had a large population of citizens and loyal warriors, and had enough food to keep them all happy. This culmination created a stable civilization and especially with no other major civilization there to compete with - the Olmec had no problem dominating Mexico during the Preclassic. 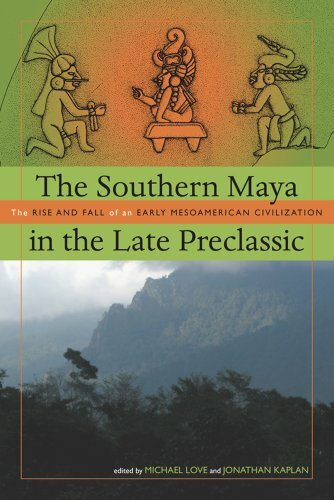 The untold prehistory of the Mayan empire. From 400 BC to AD 250, the southern Maya region was one of the most remarkable civilizations of the ancient Americas. Filled with great cities linked by flourishing long-distance trade, shared elite ideologies, and a vibrant material culture, this region was pivotal not only for the Maya but for Mesoamerica as a whole. Although it has been of great interest to scholars, gaps in the knowledge have led to debate on the most vital questions about the southern region. 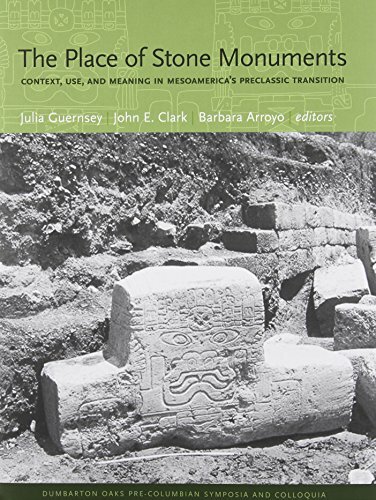 This volume considers the significance of stone monuments in Preclassic Mesoamerica, focusing on the period following the precocious appearance of monumental sculpture at the Olmec site of San Lorenzo and preceding the rise of the Classic polities in the Maya region and Central Mexico. By quite literally "placing" sculptures in their cultural, historical, social, political, religious, and cognitive contexts, the seventeen contributors utilize archaeological and art historical methods to understand the origins, growth, and spread of civilization in Middle America. They present abundant new data and new ways of thinking about sculpture and society in Preclassic Mesoamerica, and call into question the traditional dividing line between Preclassic and Classic cultures. They offer not only a fruitful way of rethinking the beginnings of civilization in Mesoamerica, but provide a series of detailed discussions concerning how these beginnings were dynamically visualized through sculptural programming during the Preclassic period.